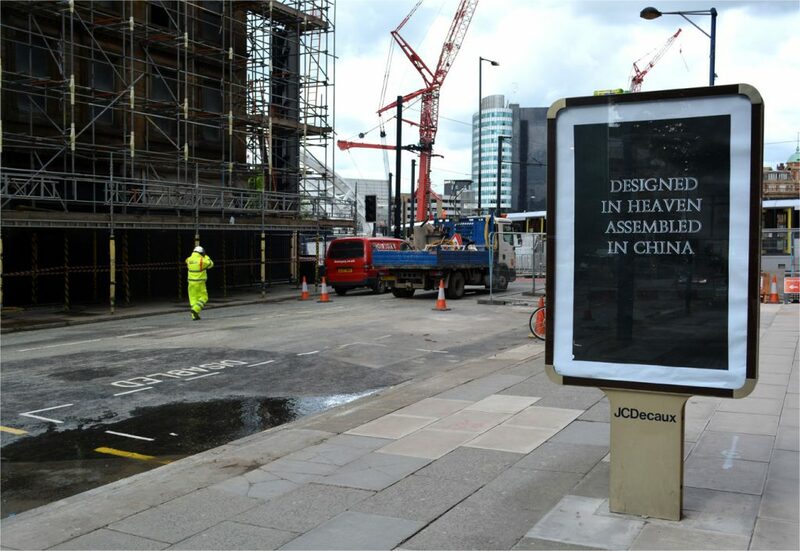 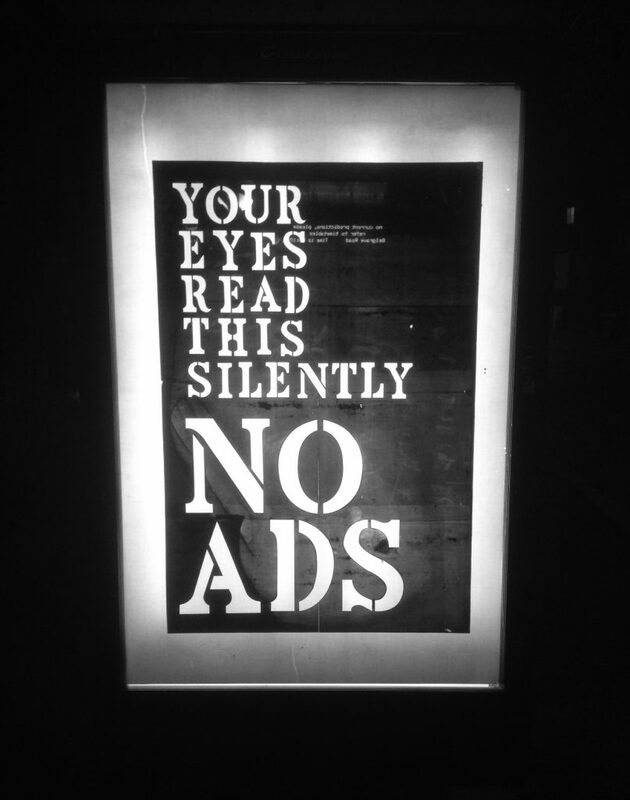 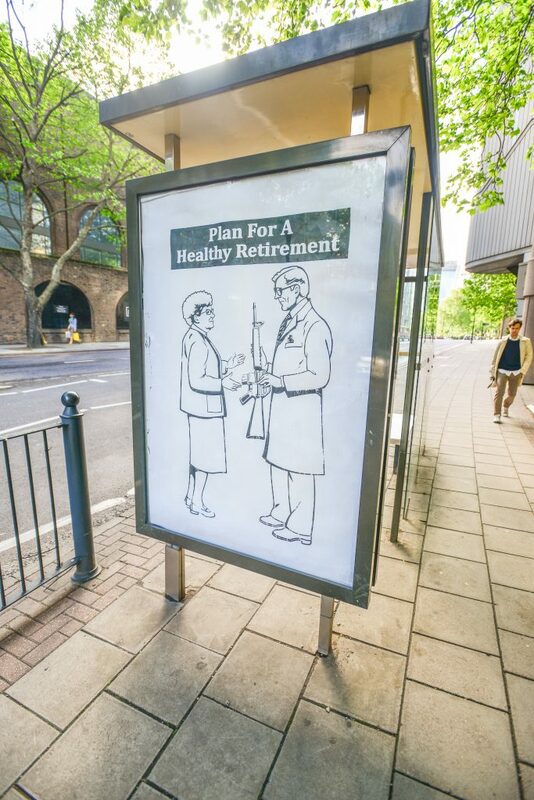 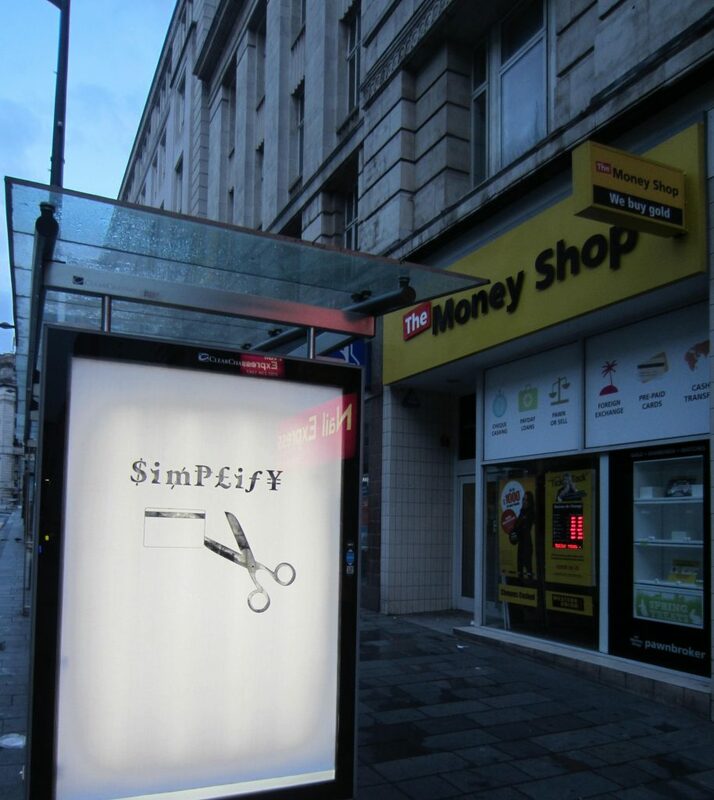 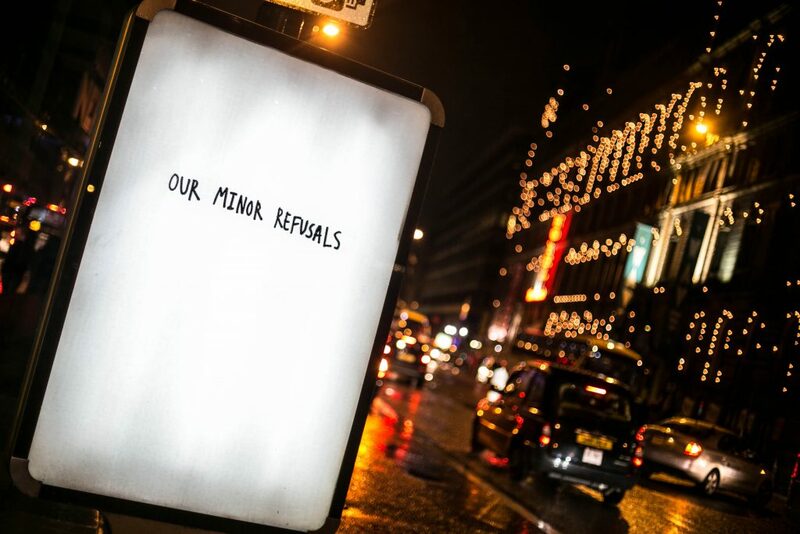 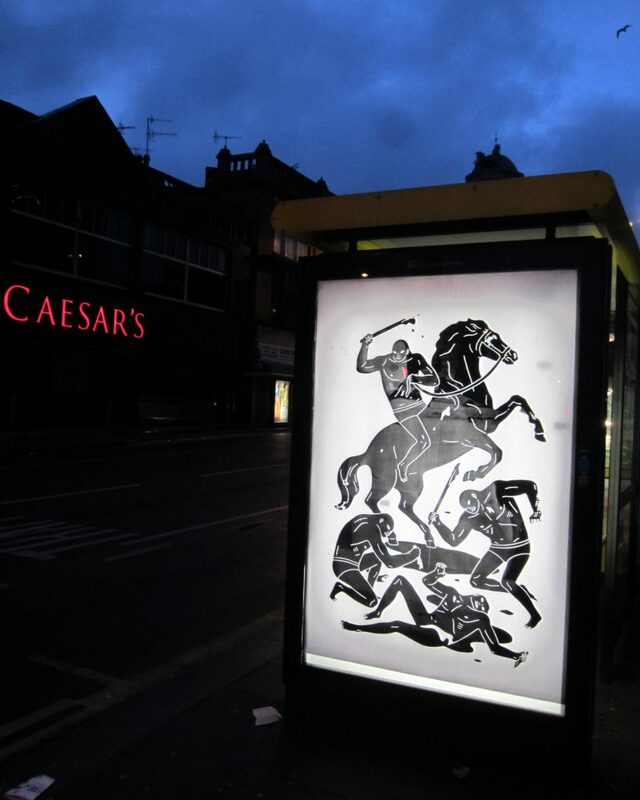 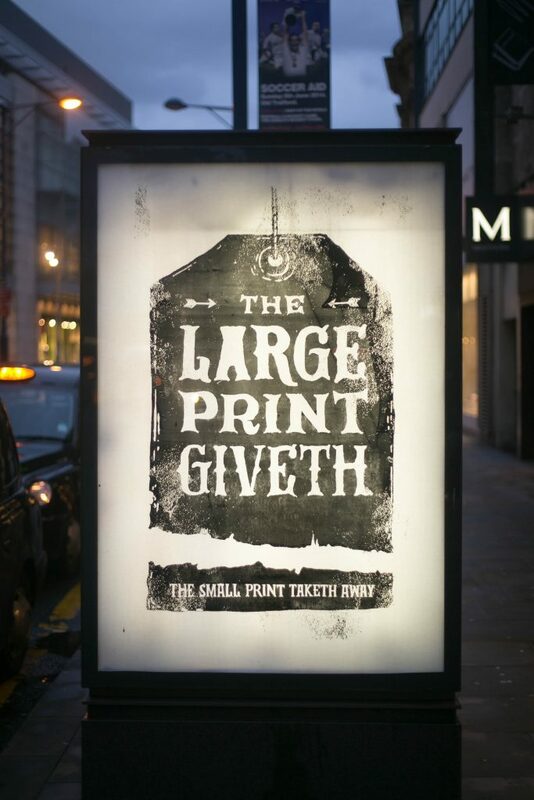 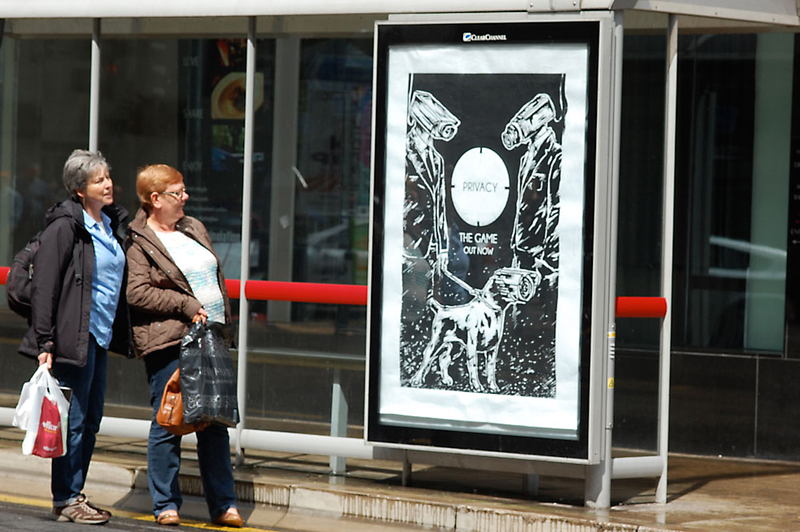 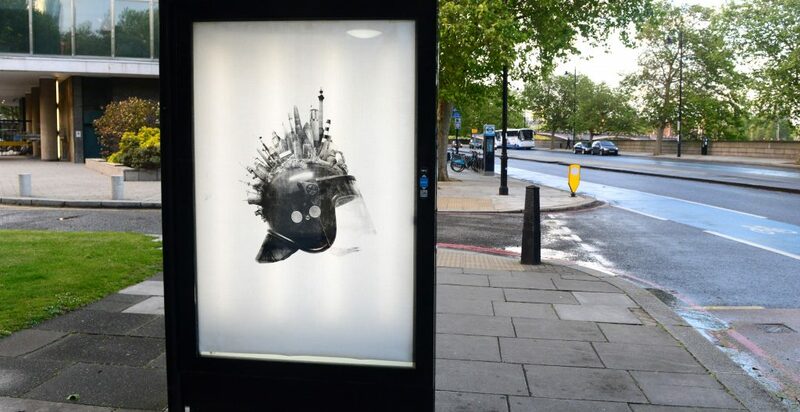 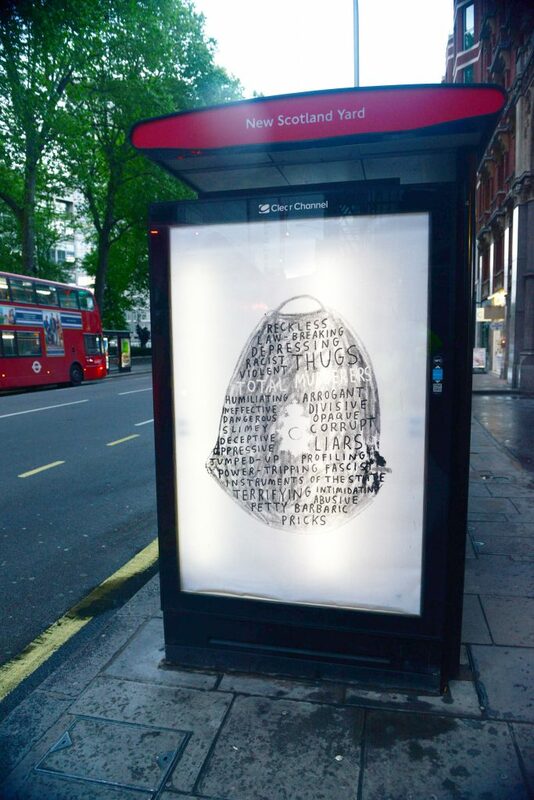 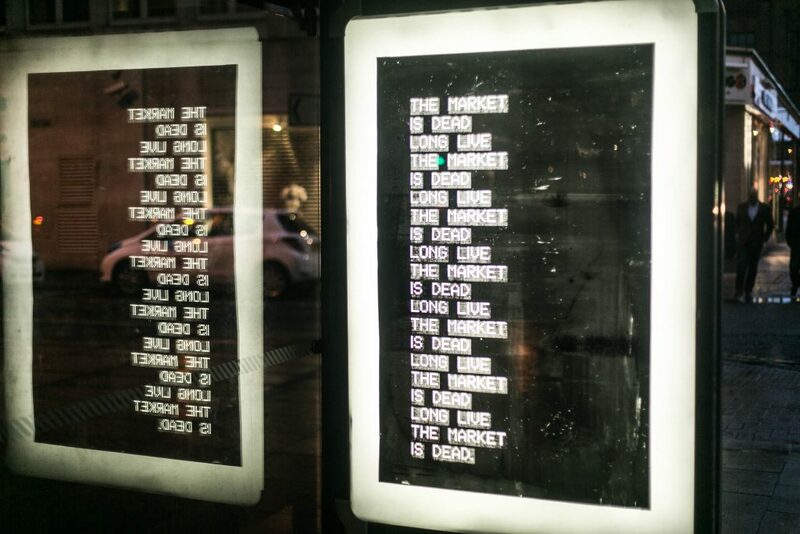 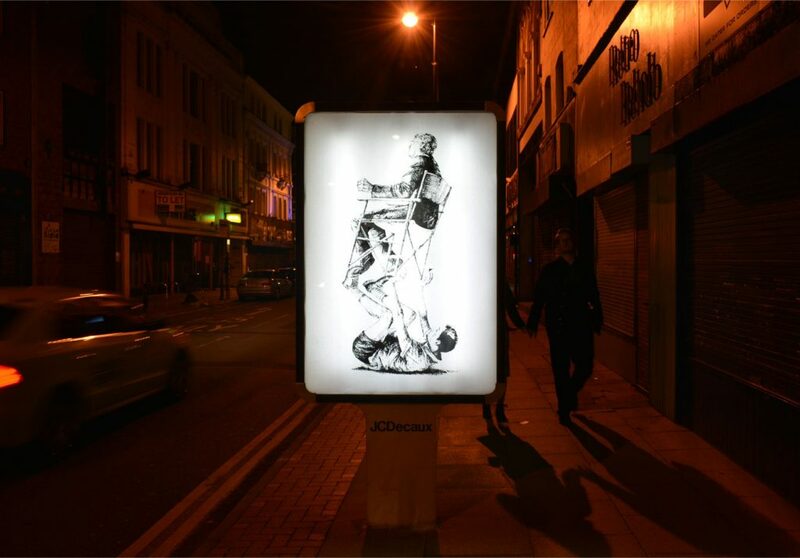 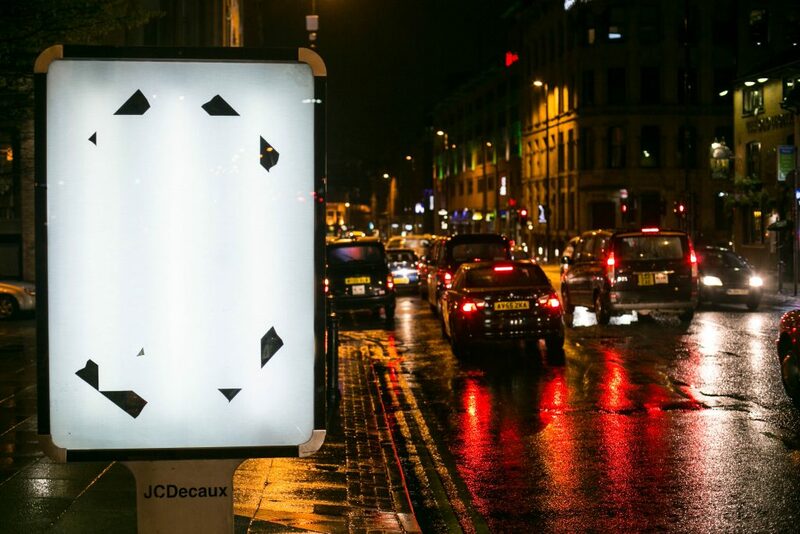 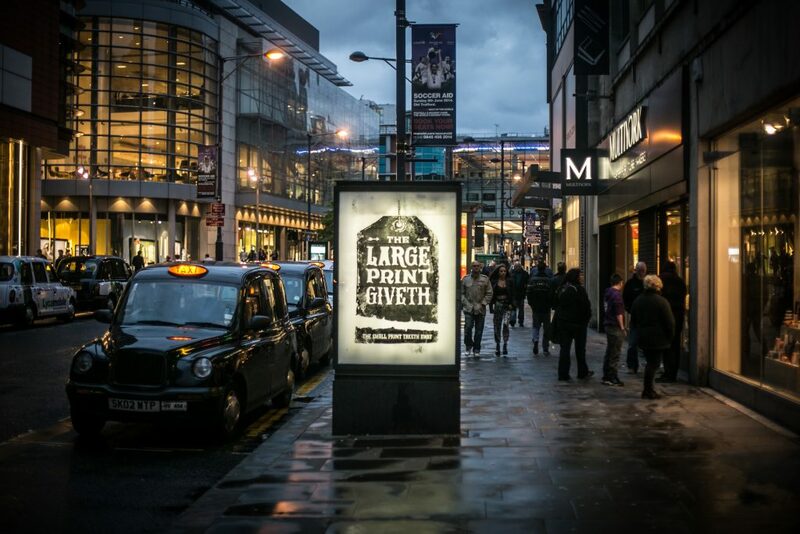 Brandalism returned to the streets in 2014 with 10 crews trained up in UK cities to create a new subvertising network. 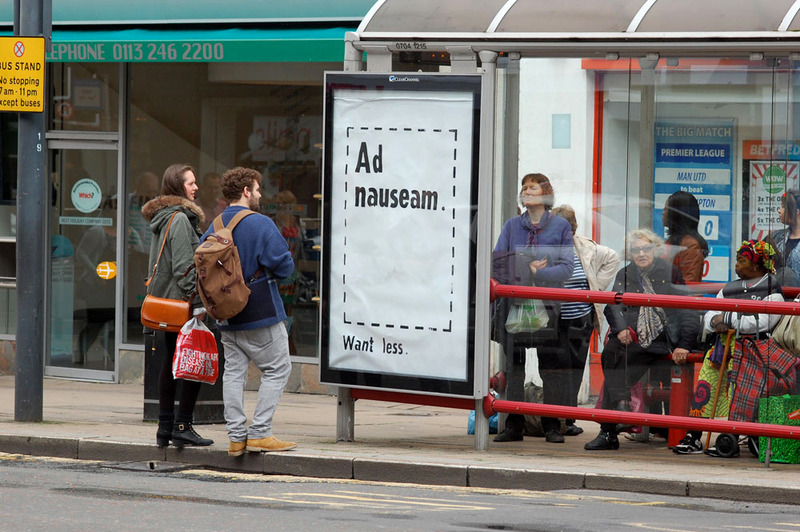 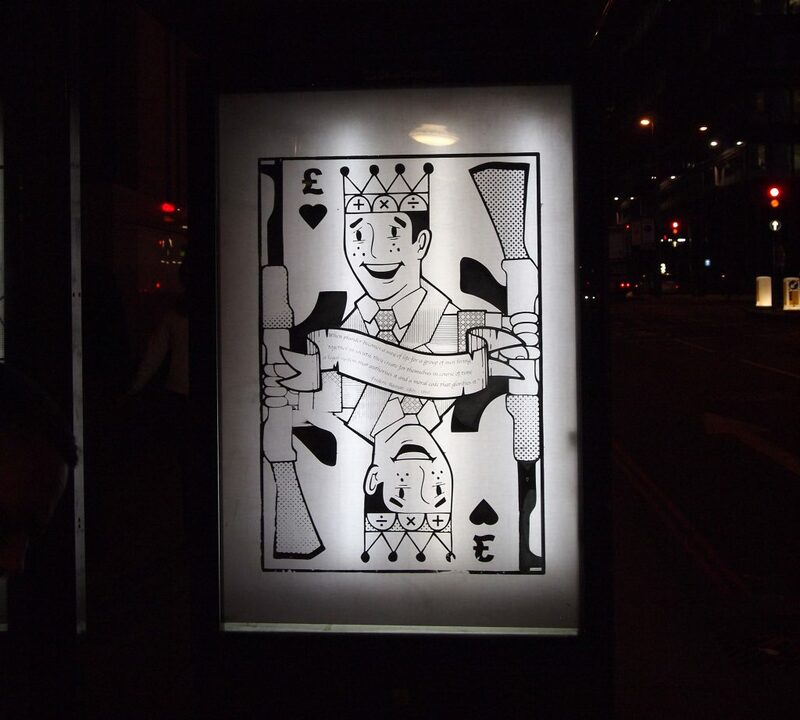 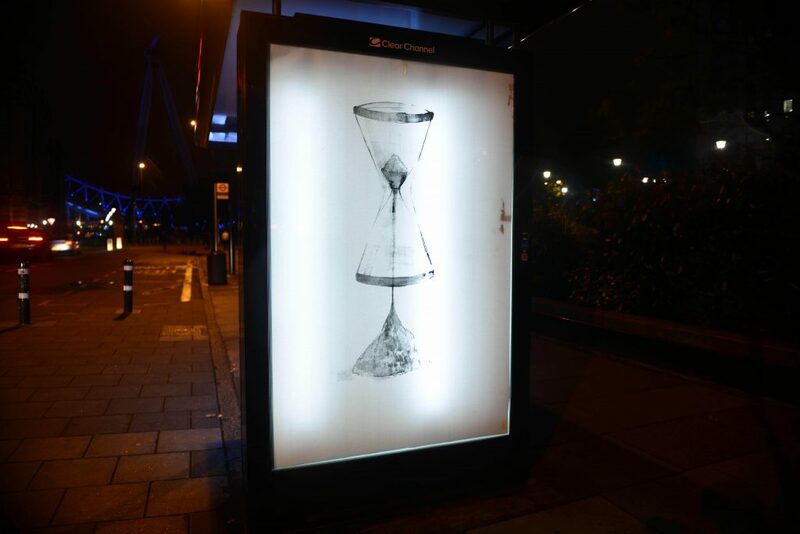 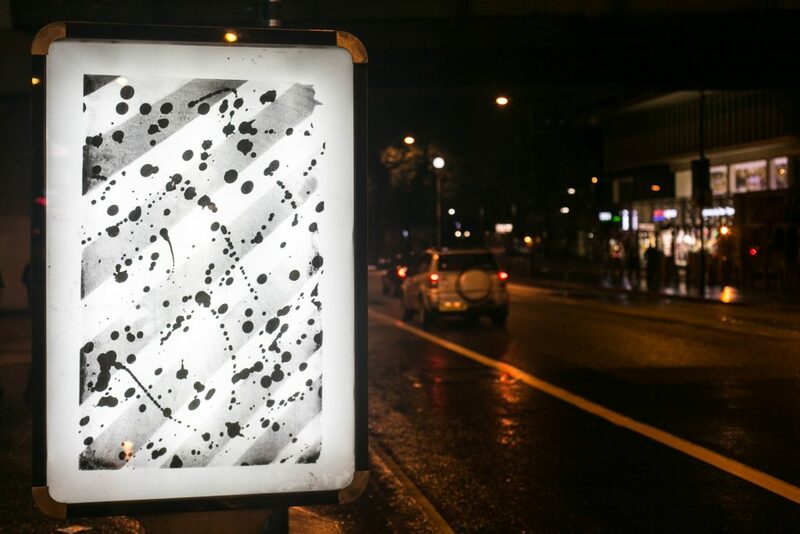 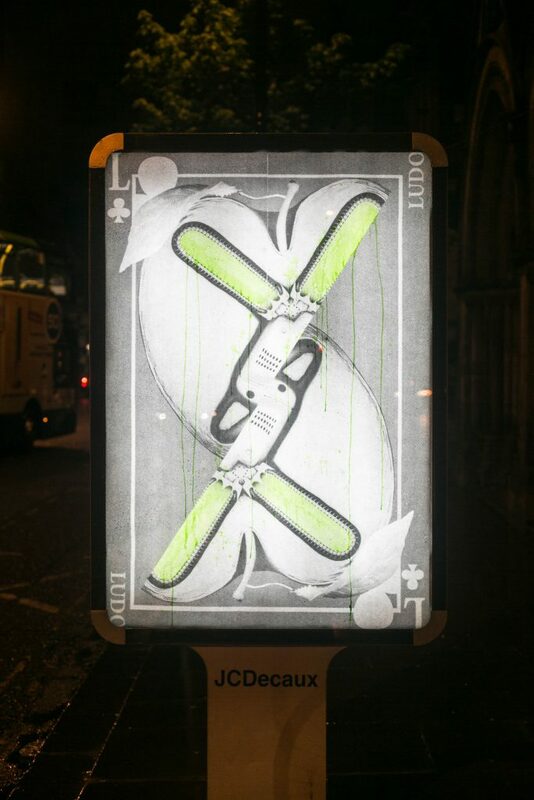 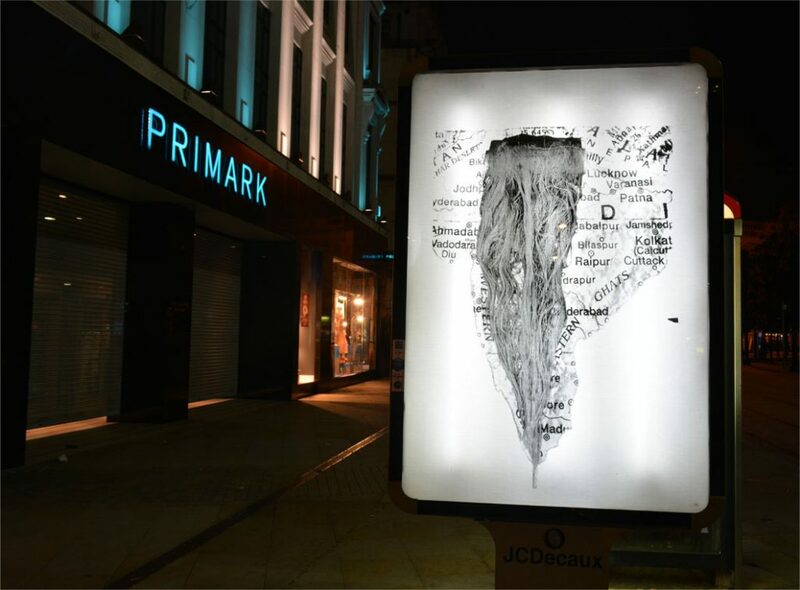 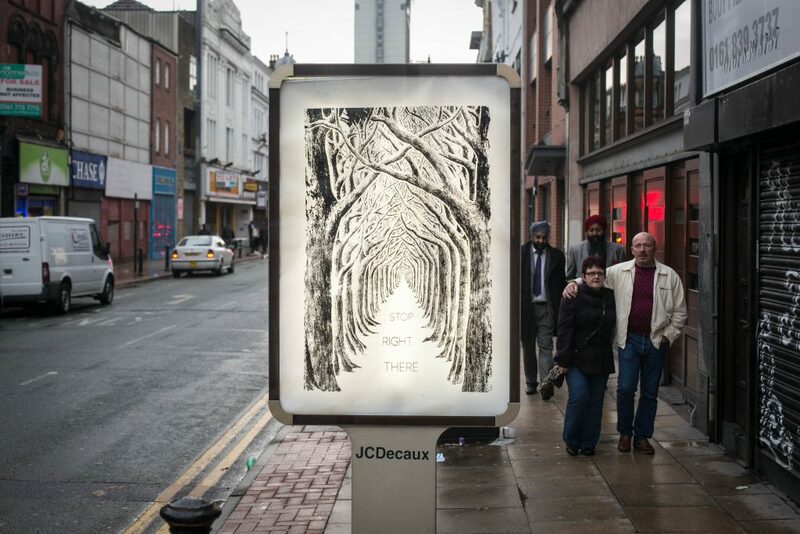 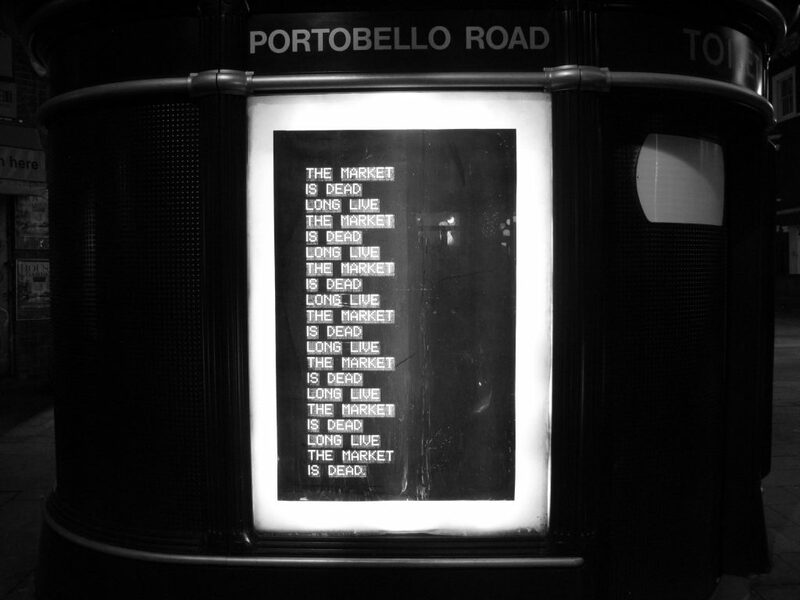 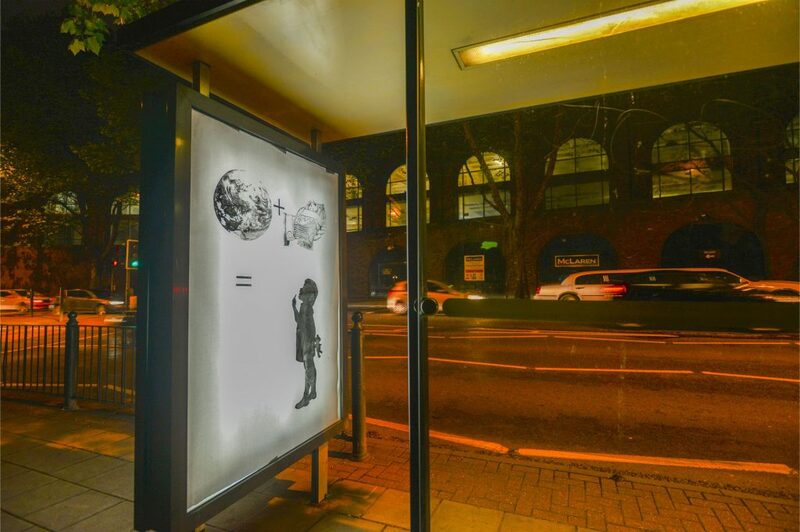 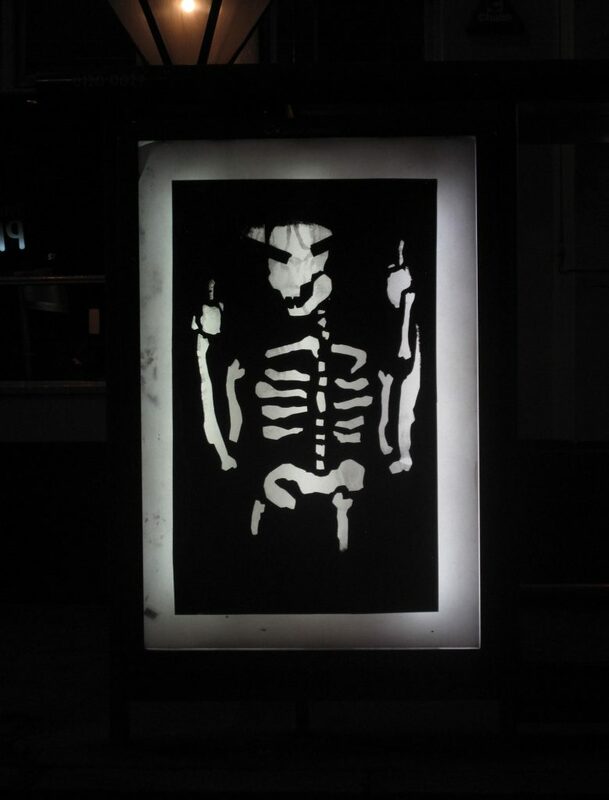 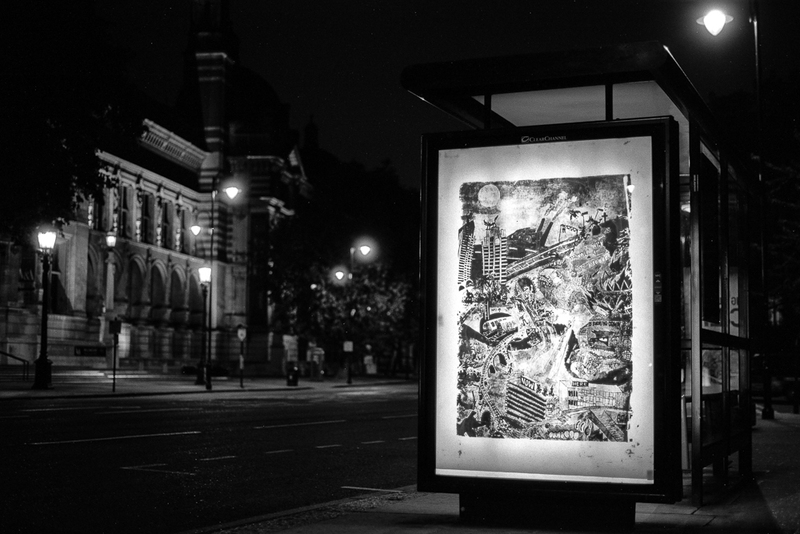 Over 2 days, 365 artworks were installed in bus stop sized advertising spaces in Edinburgh, Glasgow, Liverpool, Manchester, Leeds, Birmingham, Brighton, Bristol, Oxford and London. 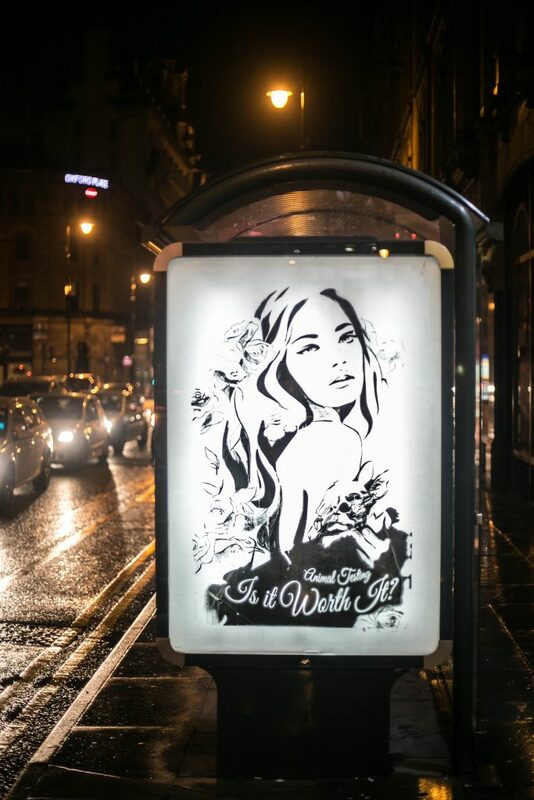 All artworts were silk screen printed; as originals and installed anonymously as gifts to the public across the UK. 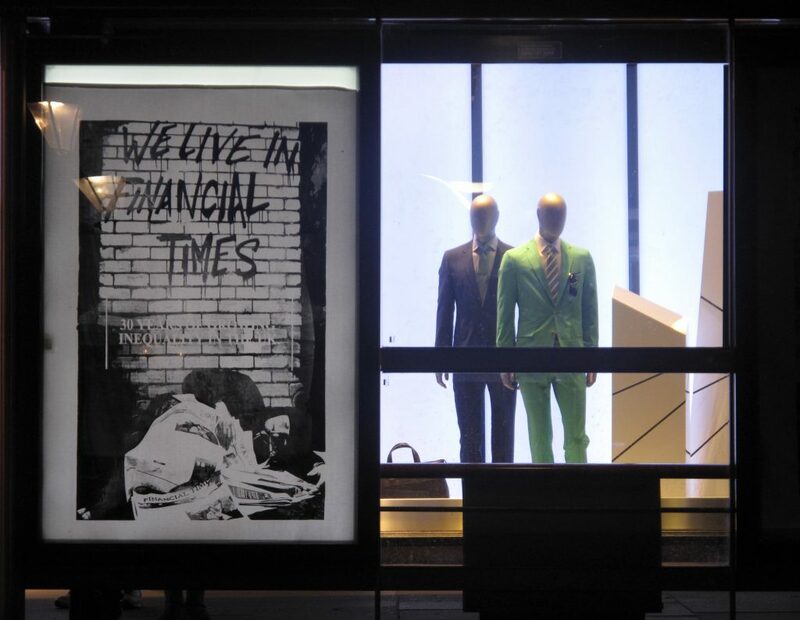 Over 40 renowned artists from around the world were mobilised to challenge consumer-capitalism with powerful and provocative artworks that explore the intersectional issues that are caused by corporate driven consumerism and climate change. 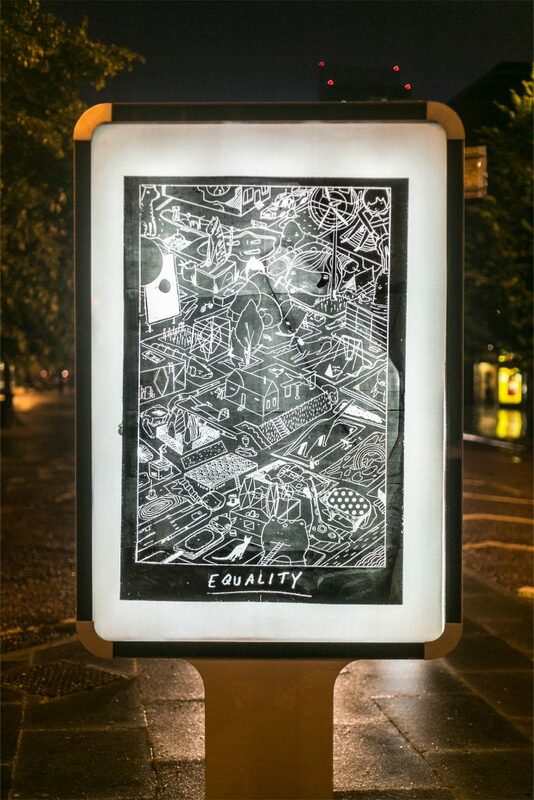 The visual arts are powerful forms of art that can affect change within society. 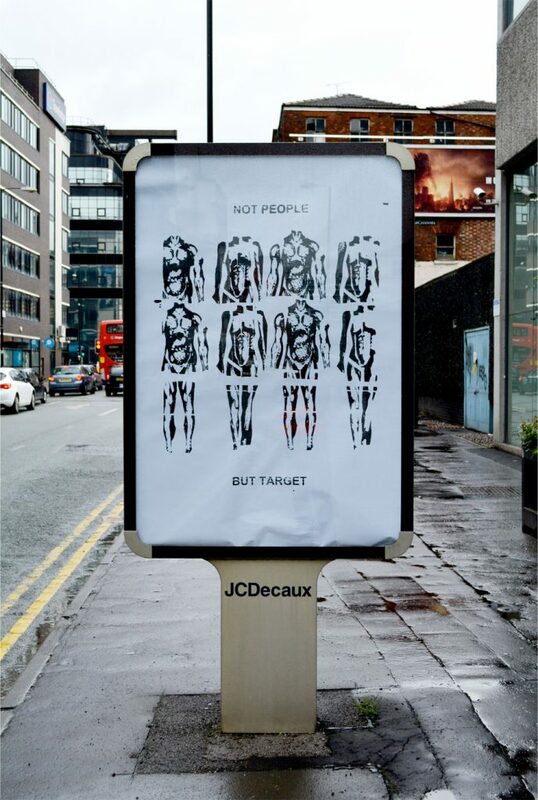 We believe in the power of art to change lives, for the better. 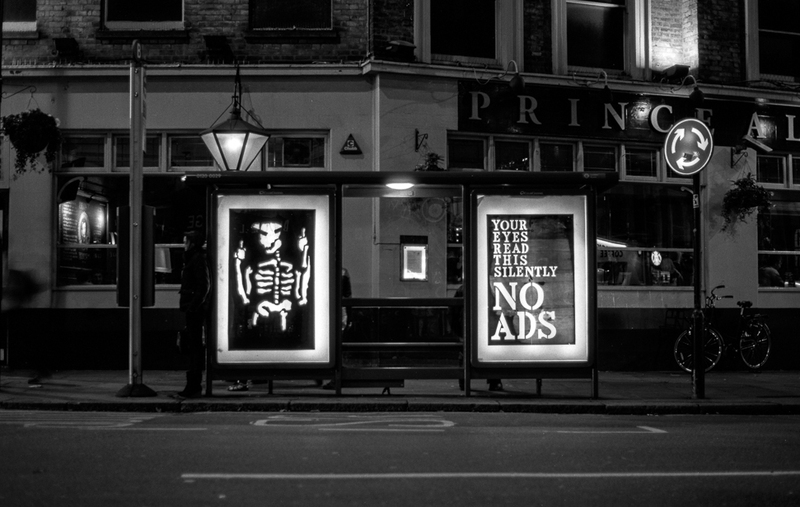 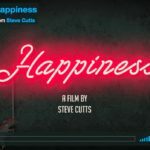 However what marks out the 21st century is how the corporate communications sector – advertising, public relations and marketing have weaponised cultural forms of communcation for profit making activities, regardless of the effects on individuals, societies or the very envrionment itself. 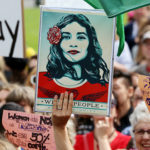 How can we, as a species, create the conditions for a culture that meets the needs of people and planet? 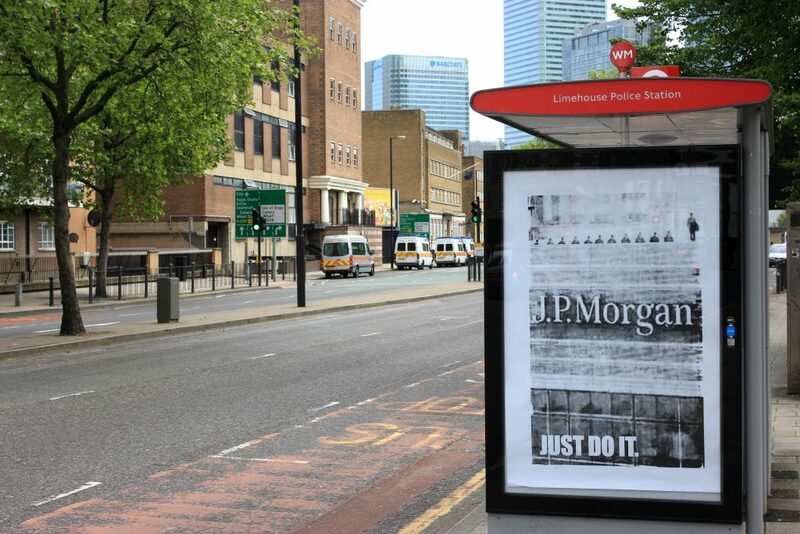 We believe that we need to challenge corporate influence and power in order to do this because history tells us so. 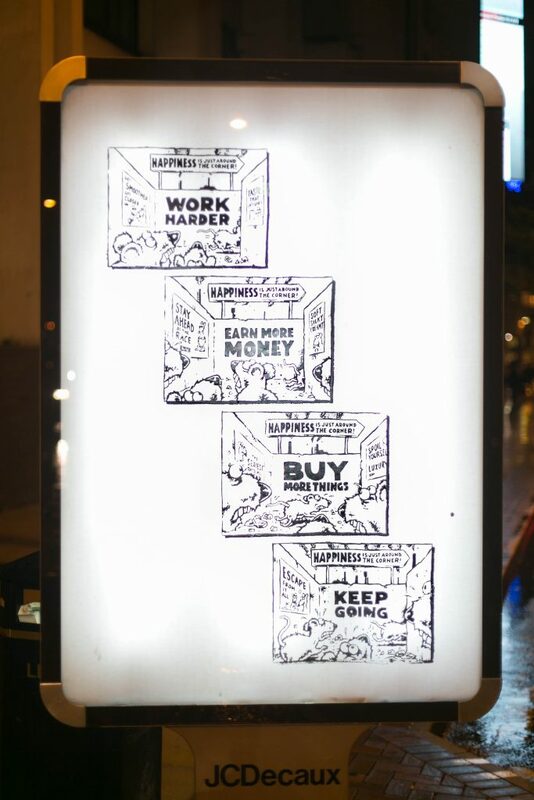 We fight with artists around the world to prise open the cracks in capitalism and create space for alternative stories and messages to permiate the corporate stranglehold over how meaning is created in capitalist societies.